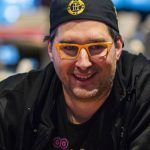 WSOP Day 6 recap sees Ted Forrest win his sixth gold bracelet; Phil Hellmuth NOT win his 14th; Alex Bolotin outlasting everyone in the Shootout; Jeff Lisandro outing Brandon Cantu as a man who doesn’t pay his debts and much more. 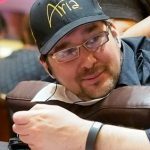 When Phil Hellmuth is in town, it’s difficult to talk about anything else. Add in the fact that it’s the 25th anniversary of his first bracelet win, that his final table appearance in Event #7: $1,500 Seven-Card Razz was his record breaking 101th cash, and 50th final table, and then it’s even more difficult to talk about anyone else. But I am going to break tradition and talk about Ted Forrest instead. Ted Forrest has just won his sixth WSOP bracelet, after showing the patience of a babysitter trying to take care of 10 baby Phil Laak’s, on route to victory in the Razz event. Only eight other players can best this record, and it’s this achievement that should be celebrated, not the near miss from a man who will no doubt fill more headline space than Ted Forrest will ever dream of, in the coming years. Forrest defeated 352 players, and overcame a 2:1 chip deficit against Hellmuth, to take his sixth title—and second Razz title—and earn $121,196 in the process; but as the MC said just prior to the heads-up action. “Congrats to my old friend Ted Forrest on winning WSOPRazz tourney. 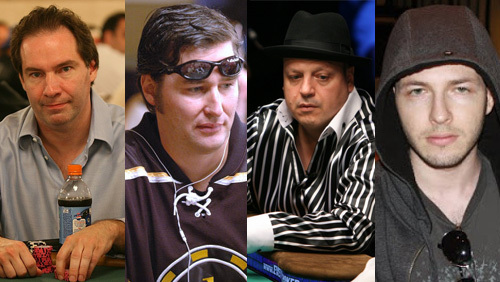 If I had to lose to someone, I’m glad it was Teddy…2nd place for me,” tweeted Phil Hellmuth. Learning that a poker player doesn’t repay his gambling debts is not exactly front page news, but hearing that Jeff Lisandro and Brandon Cantu got into an epic fist fight in the halls of the Rio certainly is. That was the message that circulated around Twitter after the pair clashed in the aftermath of Cantu’s sixth place finish in the Razz event. Speaking with bluff’s main man Thomas Keeling, Jeff Lisandro, played down any rumors of a fistfight and said it was nothing more than a verbal slanging match. Lisandro went on to say that the argument surfaced because Lisandro had vouched for Cantu on a loan that he never repaid. Belarusian poker is experiencing a renaissance of late. Vasili Firsau recorded two runner-up finishes in Season 12 of the World Poker Tour (WPT)—extending the good work carried out in previous years by Vadim Kursevich and Mikalai Pobal, and Alex Bolotin continues the same run good into the WSOP with victory in Event #6. 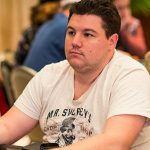 Bolotin earned his second WSOP victory, in the Shootout format, after overcoming the former PokerStars Caribbean Adventure (PCA) champion Dimitar Danchev in heads-up action, and banks $259,211, to extend his lead at the top of the all-time Belarusian money list with $2.47m and change. 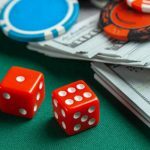 The Millionaire Maker has become so successful that the WSOP may well have to create an additional fourth day of action to make sure the tournament runs down to its final conclusion at the right pace. 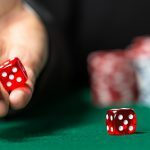 PokerNews Editor Donnie Peters has recently penned an op-ed asking the WSOP to take up the gauntlet and make this event a $20M guarantee in 2015. I think I am going to have to eat my words, after saying that slapping a $10M guarantee on the Main Event won’t bring in the crowds; because if the success of slapping ‘millionaire’ onto this event is anything to go buy, I got it completely wrong. There are 7,977 entrants have been hacked down to 178 and Yuliyan Kolev, Jonathan Dimming and Bart Lybaert lead the field with stacks over 600k+. 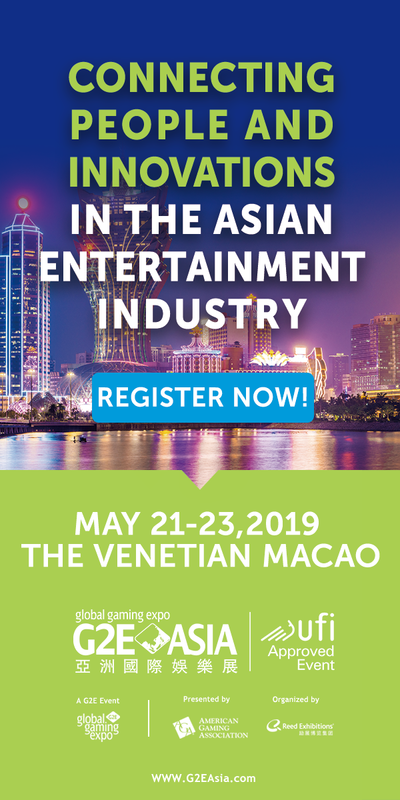 Amongst our more notable stars are Chris DeMaci (396,000), Andrew Teng (351,000), Dwyte Pilgrim (274,000), Athanasios Polychronopoulos (239,000), Andrew Seidman (229,000), Allen Kessler (183,000) and Greg Mueller (107,000). Event #10 $10,000 Limit Omaha Hi-Low Championship attracted 178 players, and the day ended with 111 players left in the field, and Dan Kelly has a slight lead over Jeff Williams in the second $10K Championship of the series.